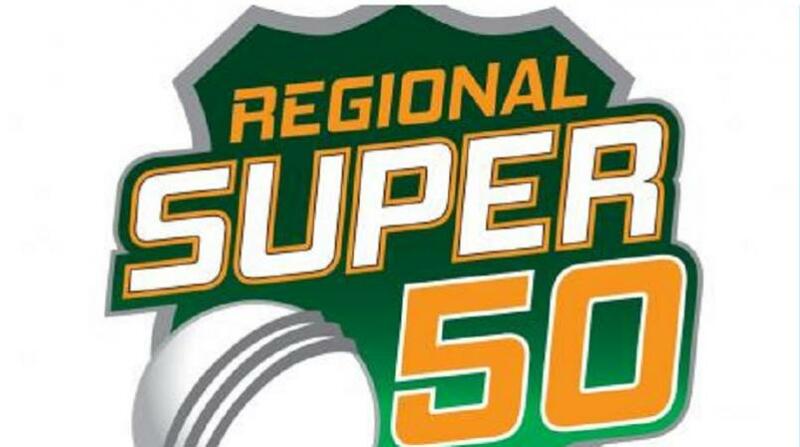 Spin twins Veerasammy Permaul and Devendra Bishoo wrecked English County team Kent, to propel Guyana Jaguars to a comfortable 35-run victory in their opening Group B match of the Regional Super50 on Wednesday in Antigua. Defending a seemingly inadequate 233 at the Vivian Richards Cricket Ground, Jaguars appeared en route to defeat with Kent cruising on 119 for one in the 28th over. But Premaul snatched four for 46 and leg-spinner Bishoo, three for 34, to scythe through the innings and send Kent crashing for 198 all out in the 47th over. Zak Crawley top-scored with 60 while Sean Dickson got 29 and Daniel Bell-Drummond, 28, but the remainder of the batting failed to come to terms with the Jaguars attack. 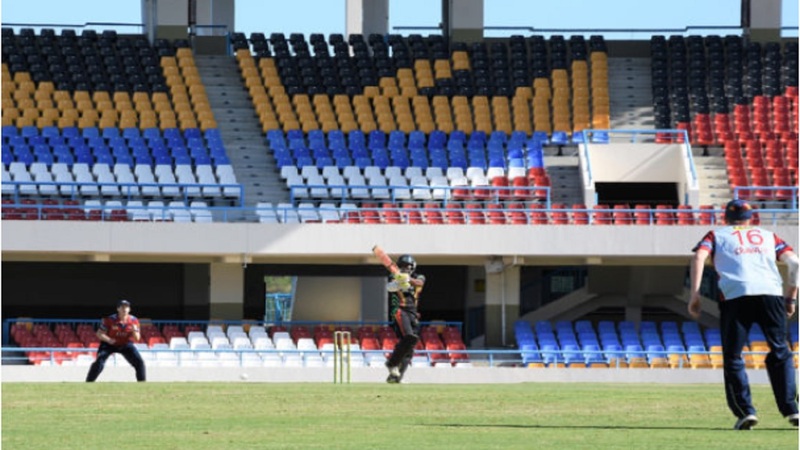 Earlier, veteran former West Indies star, Shiv Chanderpaul, stroked 67 at the top of the order and got support from wicketkeeper Anthony Bramble who made 39, as Jaguars were bowled out for 233 off 49 overs. Tail-ender Romario Shepherd chipped in with 29 and Sherfane Rutherford, 24, as Jaguars recovered from a sloppy start, rebuilt, before scrambling for runs in the dying stages. Fast bowler Mitchell Claydon was the best bowler with five for 31 while fellow seamer Will Gidman (2-37) and off-spinner Ian Thomas (2-62) claimed two wickets apiece. Opting to bat first, Jaguars were quickly in trouble when they lost Test batsman Shimron Hetmyer (19), Chandrapaul Hemraj (0) and captain Leon Johnson (0) to decline to 33 for three in the seventh over. Chanderpaul, opening the batting, then patched up the innings in two successive half-century stands. He first put on 56 for the fourth wicket with West Indies all-rounder Raymond Reifer (16) before adding a further 58 for the fifth with Bramble. The 43-year-old Chanderpaul struck five fours and a six off 97 balls while Bramble produced a 34-ball cameo with three fours and two sixes. Both, however, were part of a slide that saw three wickets tumble for 30 runs in 40 balls and it was left to Shepherd and Rutherford to provide the late flourish for Jaguars in a 38-run, eighth wicket partnership. Kent, in reply, started positively, with the 19-year-old Crawley energising two consecutive half-century stands to put the overseas side in command. The right-hander faced 73 balls and counted four fours, adding 58 with Bell-Drummond for the the first wicket and another 61 with Sean Dickson (29). With the game slipping away, Permaul got the breakthrough when he removed Dickson in the 28th over and when Bishoo claimed Crawley and wicketkeeper Adam Rouse (0) in successive deliveries in the 31st, Jaguars were back in the contest. Stumbling on 129 for four, Kent never recovered as Bishoo had captain Will Gidman caught and bowled for 16 and trapped Alex Blake lbw for nine. Fast bowler Romario Shepherd also chipped in with a brace of wickets, and Permaul weighed in, to accelerate the decline. 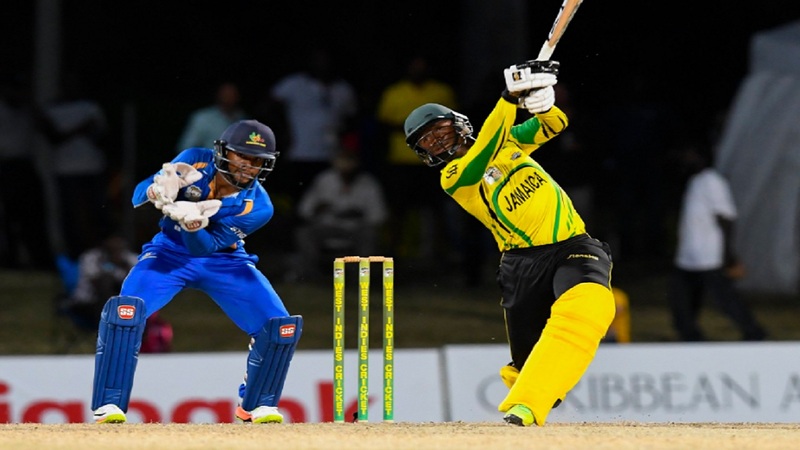 In another Group B match, Rahkeem Cornwall slammed an imperious unbeaten hundred as Leeward Islands Hurricanes demolished United States by 162 runs. 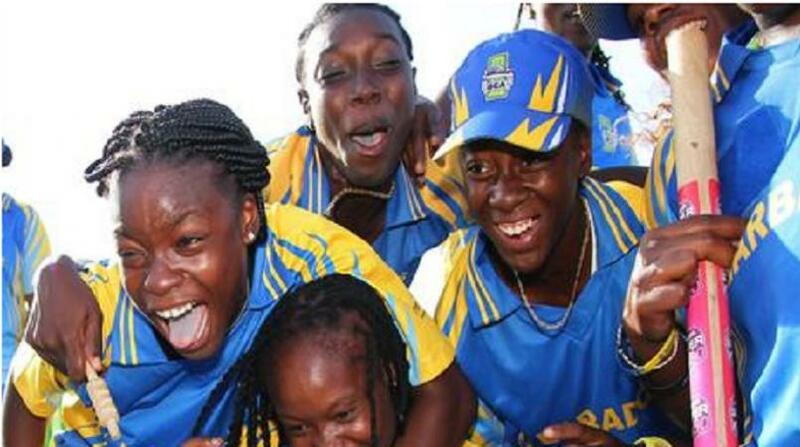 In the day/night contest at Coolidge Cricket Ground, Hurricanes raced to 298 for eight off their 50 overs, with Cornwall marching to 132 off 92 balls, to mark a career-best second regional one-day hundred. United States were never in the hunt and collapsed to 136 in the 39th over, as left-arm spinner Akeal Hosein claimed five for 26 while Cornwall returned with his off-spin to pick up three for 27 and complete a fine all-round performance. Opener Jaskaran Malhotra stroked a top score of 43 while former West Indies Test batsman Xavier Marshall struck 40 but none of the other top eight reached double figures. The tone of the victory was set by Cornwall whose innings made the difference for Hurricanes after they lost their way after opting to bat first. Captain Kieran Powell (4) and Windies star Marlon Samuels (5) both fell cheaply inside the first nine overs to leave the hosts stuttering on 27 for two before opener Montcin Hodge (58) and Devon Thomas (32) combined in a 72-run, third wicket stand to repair the damage. 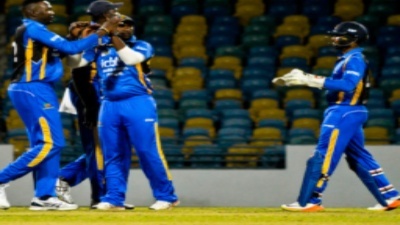 OVER IN GROUP A: West Indies seamers Miguel Cummins and Kemar Roach stunned Trinidad and Tobago Red Force with lethal spells, as Barbados Pride made a successful start to their title defence with a commanding 171-run win in Barbados on Tuesday. Asked to chase 279 in the day/night Group A match at Kensington Oval, Red Force crumbled spectacularly for a disappointing 107 off 21.3 overs, undone by the homeside’s pace attack. Cummins snatched four for 35 while Roach picked up three for 33, while medium pacer Carlos Brathwaite supported with two for 32. Roach was superb up front with the new ball, taking three wickets in his opening spell, which sent Red Force crashing to 17 for four in the seventh over. Sunil Narine, batting at eight, smashed an explosive 28-ball 51 but Cummins and Brathwaite combined to wreck the remainder of the innings. Sent in earlier, Pride rallied to 278 for nine off their 50 overs, with all-rounder Kevin Stoute stroking 74 and Test batsman Roston Chase gathering exactly 50. Windies stroke-maker Shai Hope carved out a typically elegant 47 while left-hander Jonathan Carter hit 37. 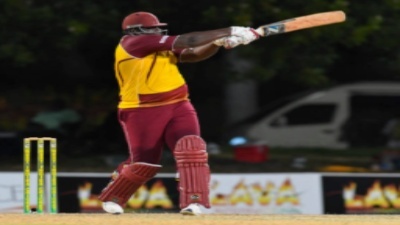 Jamaican left-arm speedster Sheldon Cottrell (3-52) and Roshon Primus (3-70) both ended with three wickets apiece while off-spinner Sunil Narine claimed two for 29.